We provide purpose built storage and warehouse facilities in Christchurch and in Auckland, providing a broad range of storage solutions for both short-term and long-term storage requirements. All facilities are licensed by the New Zealand Customs Department and therefore meet strict guidelines for access and security. 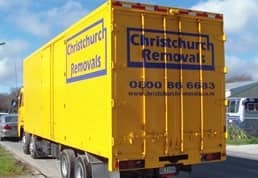 Christchurch Removals facilities are alarmed and electronically monitored by external security specialists. Goods can be retrieved at any time by providing suitable notice. 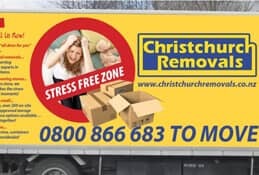 Let Christchurch Removals provide you with the simple self-storage solution to solve all your storage needs. 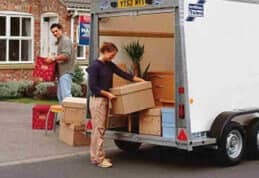 Christchurch Removals cater for all types of business and home storage. Use our expertise to help you with moving, storage, relocation, packaging, etc. To arrange a quotation call our office Free on 0800 TO MOVE. If you are renovating and need short-term storage facilities, till you are able to move into your new home, this is our specialty. Our full service includes packing, removal, storage and returns delivery service when your new home is ready to move into, we relieve you of the stress of moving. Another common storage requirement for storing furniture and other personal items is if you are renting a property you own. Utilizing our storage facilities, ensures your items are safe from being damaged. This could be either long-term or short term. 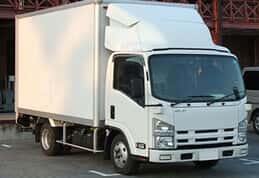 When a commercial move to new business premises requires some items to be stored short-term, for example, extra office furniture, computers, files, etc these can be stored in Christchurch Removals’ onsite storage units. When a commercial move to new business premises requires some items to be stored short-term, for example, extra office furniture, computers, files, etc these can be stored in Christchurch Removals onsite storage units. We are very experienced in office relocations, call us for a no obligation quotation. A large percentage of Christchurch families are faced with the task of moving and storing their furniture and belongings while contractors repair their homes. 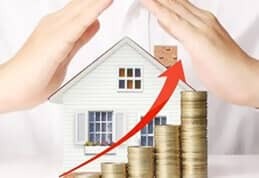 Christchurch Removals are dealing with EQC and insurance companies every day, give us a call and let us handle everything from providing a quote, packing your home, furniture removals and storing your belongings. We can even organise onsite container storage if needed. NOTE: We sell all your packing needs – boxes, tape, bubble wrap, covers, etc. We will endeavor to store your goods in the most careful, efficient and economical manner for you, our client. and as a total service removal company we also offer full packaging, pickup and delivery services. An innovation in our range of storage services is the use of containers. In this instance, a container is driven up to your home or office, all your goods are loaded on the container, and the container doors are sealed. The container is then driven to our storage centre, and it remains there, locked and sealed, till such time as you would like to retrieve the contents.